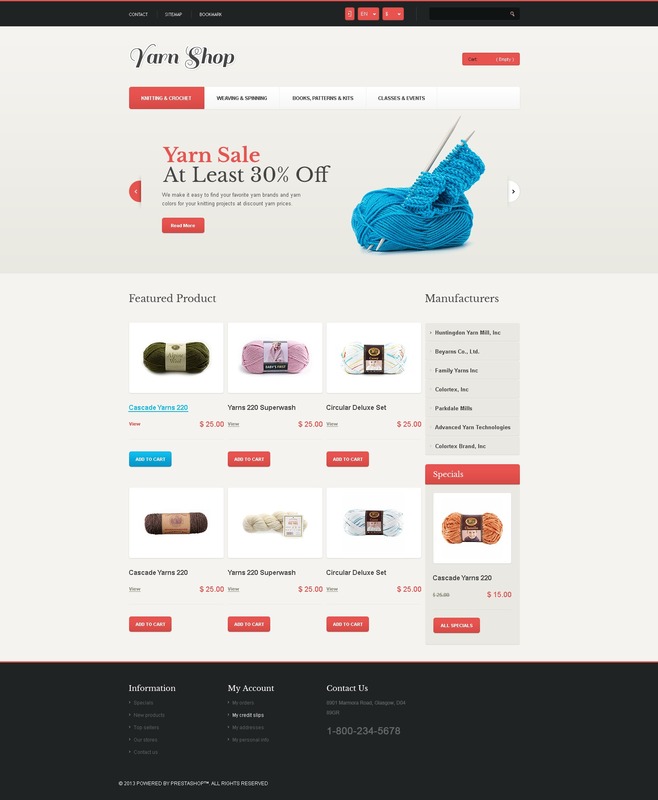 Present your yarn online and get access to new broad product markets. Responsive design of this store is able to provide good conversion rates. Neutral layout lets customers focus on the products. ÃÂ¡oral red elements emphasize the important info. Slider promotes discounted items. Manufacturers are listed in the right sidebar, that helps the customers navigate more efficiently.